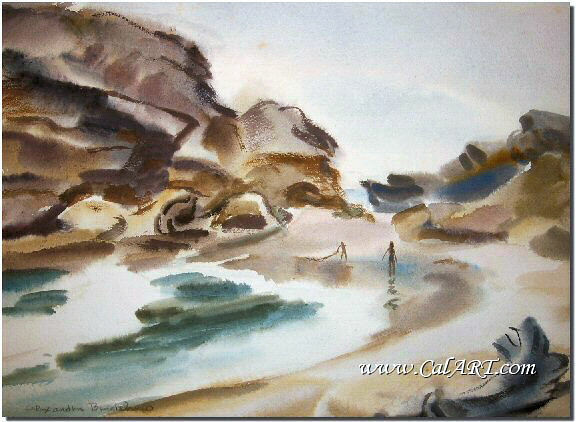 Alexandra Bradshaw biography provided courtesy of �California Watercolors 1850-1970� By Gordon T. McClelland and Jay T. Last. 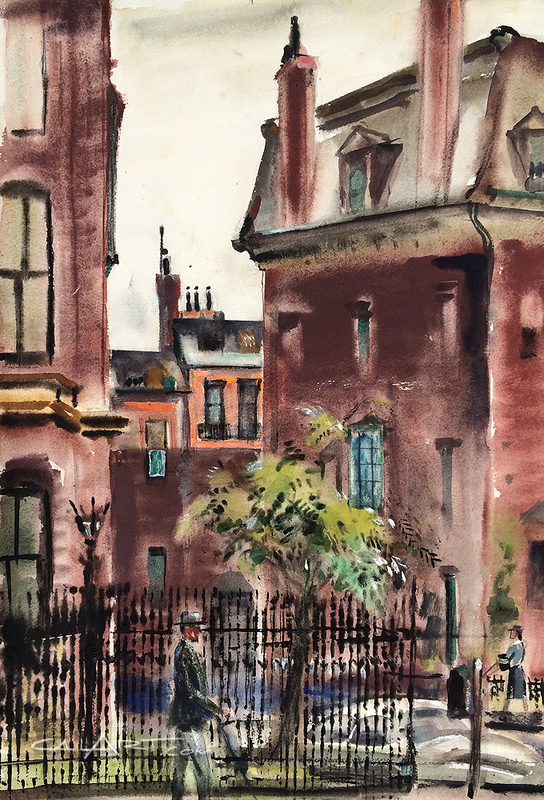 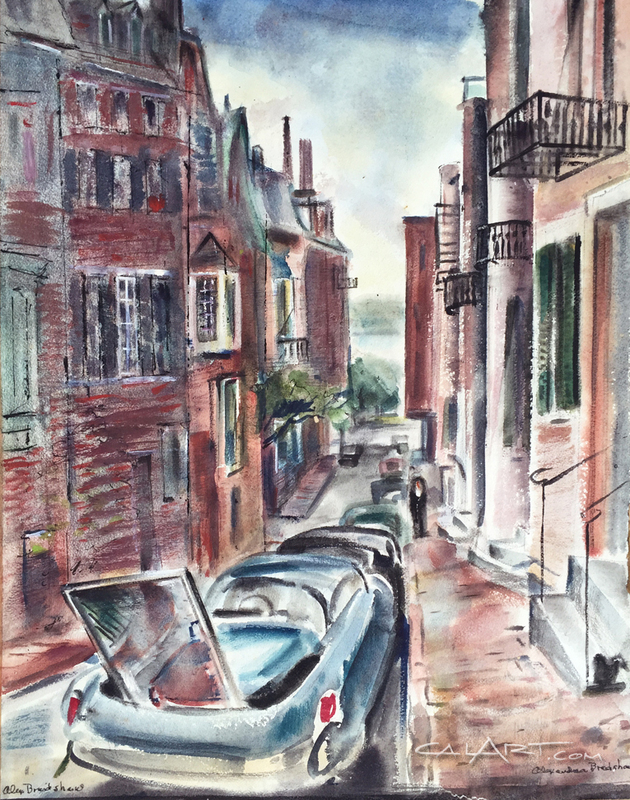 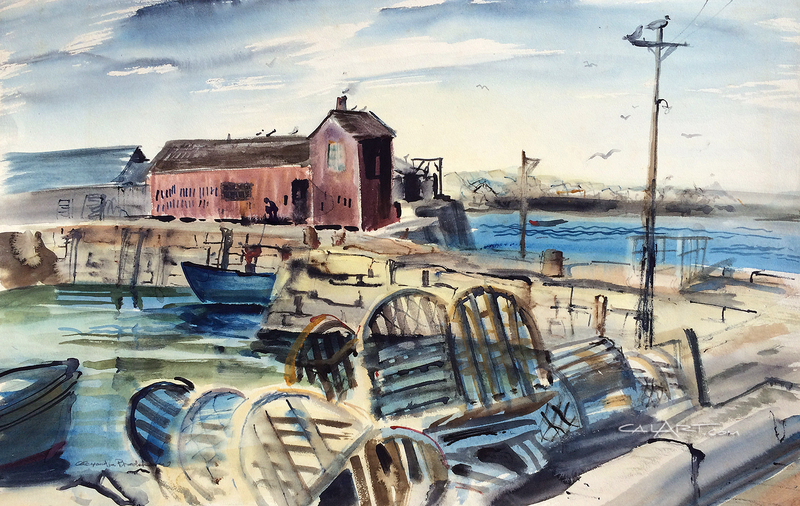 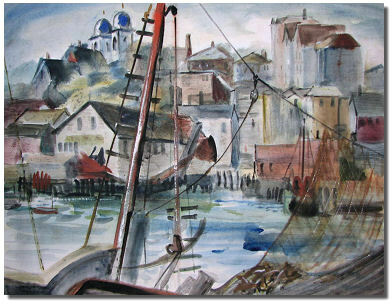 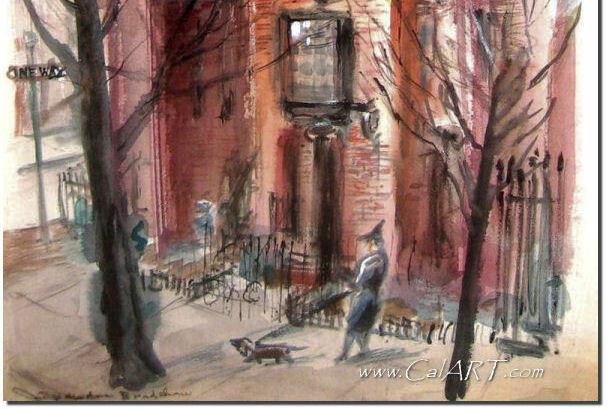 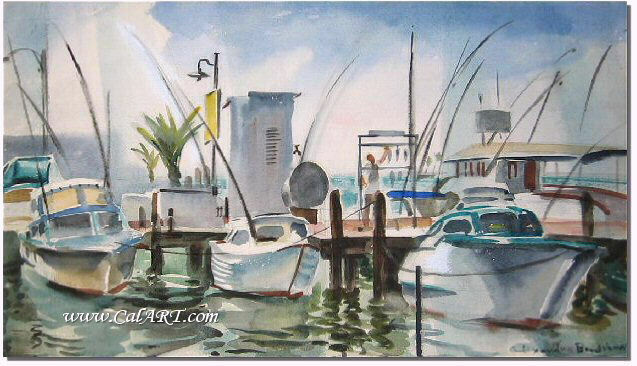 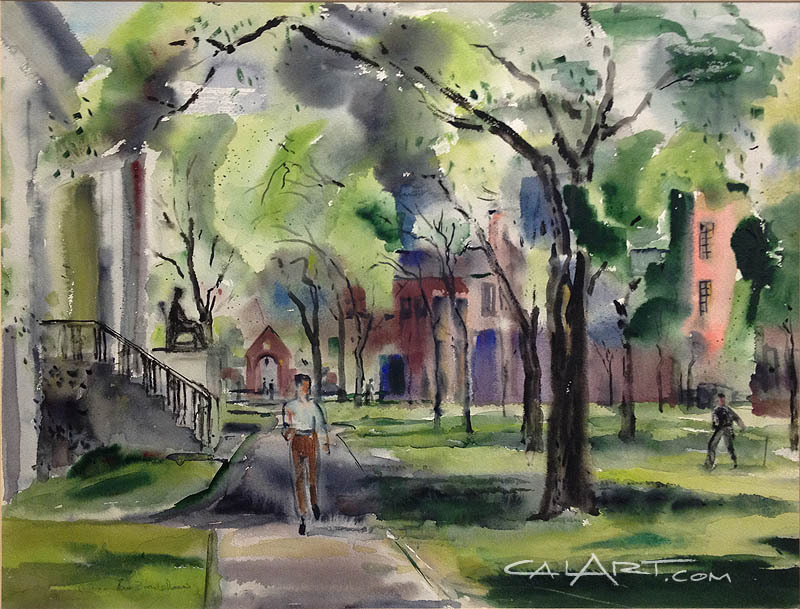 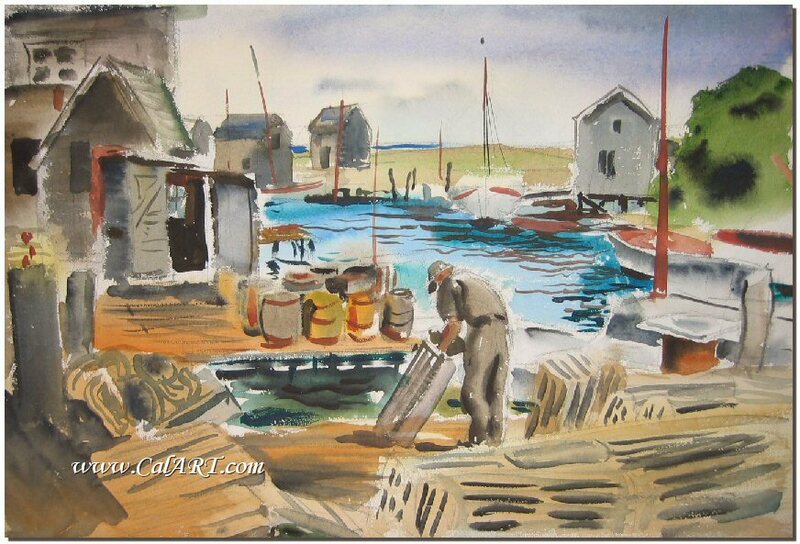 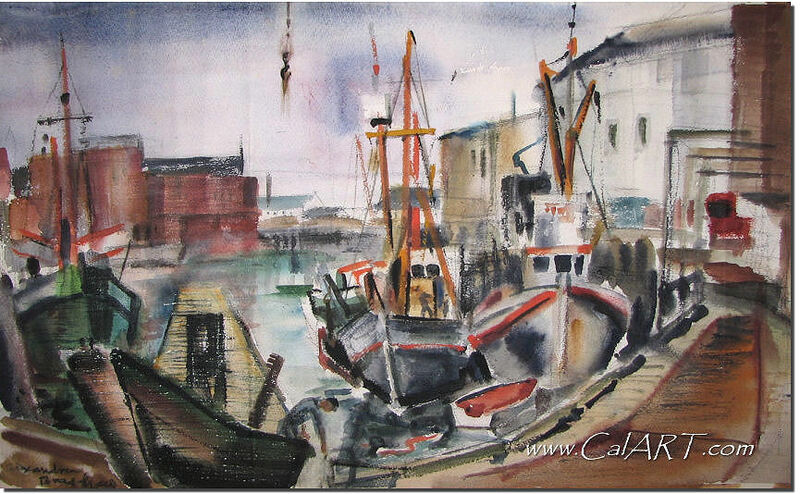 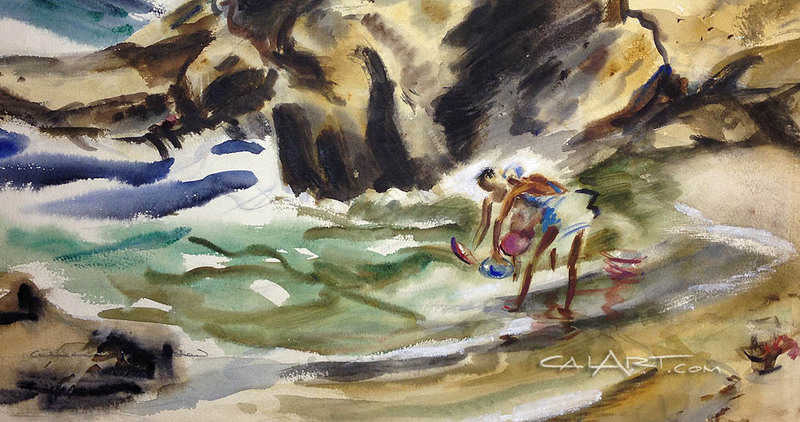 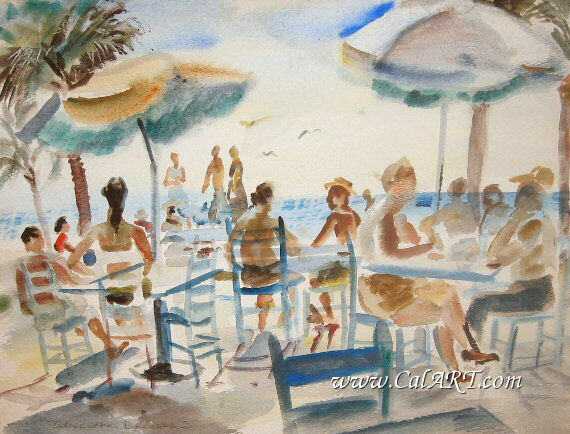 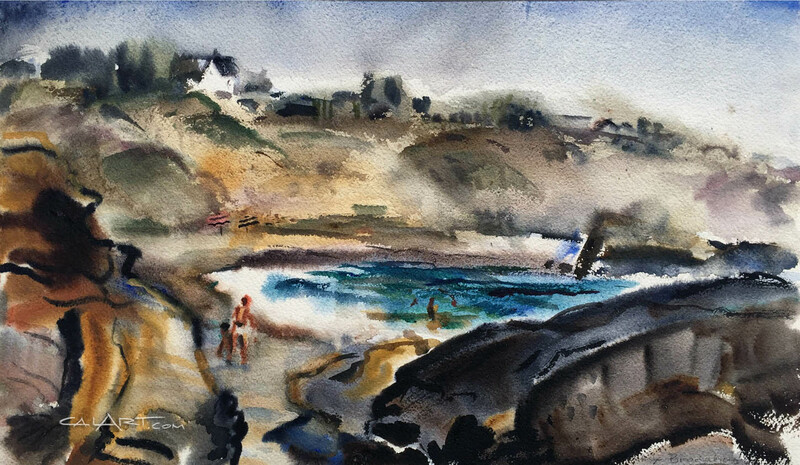 Member: California Water Color Society; Fresno AA; San Francisco Women Artists; Pacific AA; Laguna Beach AA; Boston Society of Watercolor Painters; Cambridge AA. 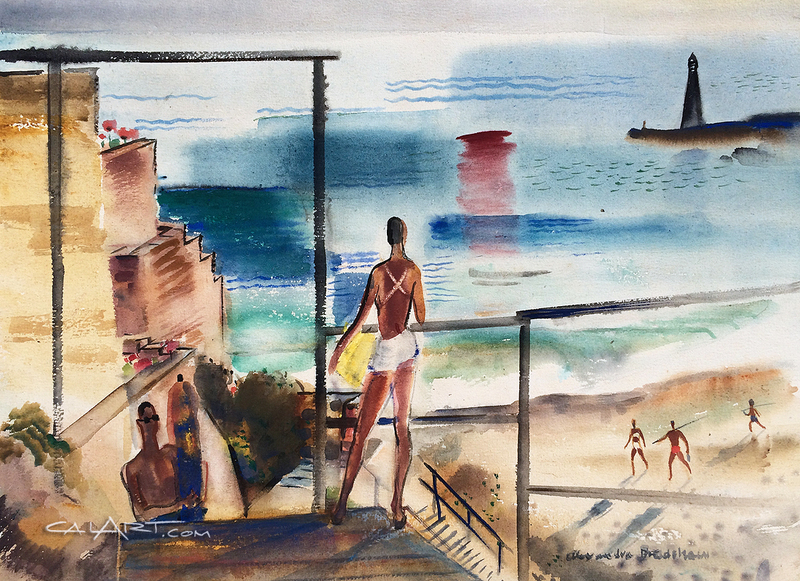 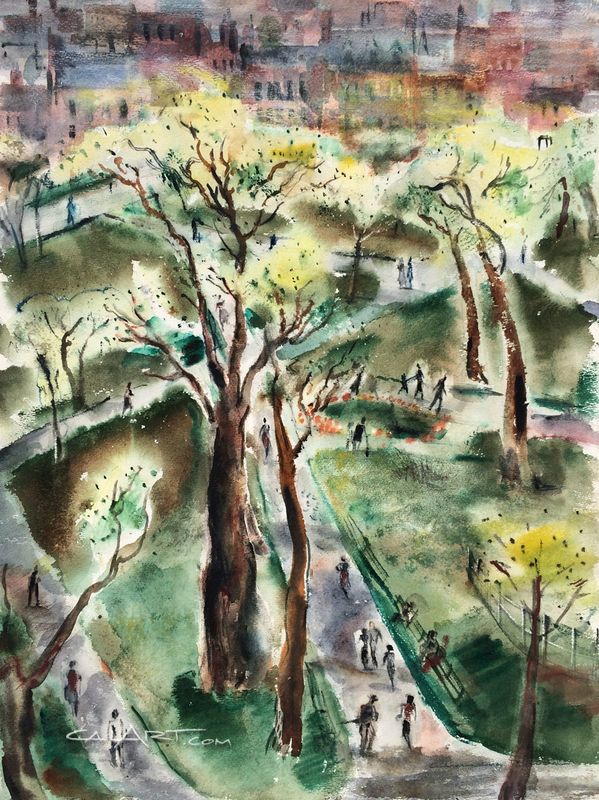 Exhibited: San Francisco Society of Women Painters, 1932 (award); SFMA, 1943; Laguna Beach AA, 1941-48, (prizes), 1944, 1948 (prize);GGIE, 1939; NAWA, 1940, 1941; California Water Color Society 1940, 1942, 1944, 1952-53; Riverside Museum 1944, 1946; San Francisco AA 1943, 1944; Crocker Art Gallery (solo); Pasadena AI (solo), 1959-1965; BMFA; Busch-Reisinger Museum; San Diego Gallery Fine Arts (solo); City of Paris, San Francisco; Little Gallery, Boston; Lucius Beebe Memorial Library, Wakefield MA, 1960, 1964; Laguna Beach CA, 1964. 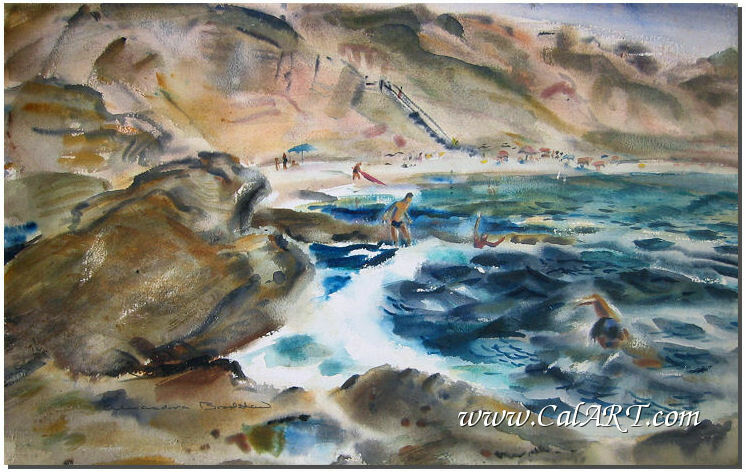 Alexandra Bradshaw studied art with Hans Hofmann, Rex Slinkard in Los Angeles and with Andre L'Hote in Paris, UCLA, Columbia and Stanford. 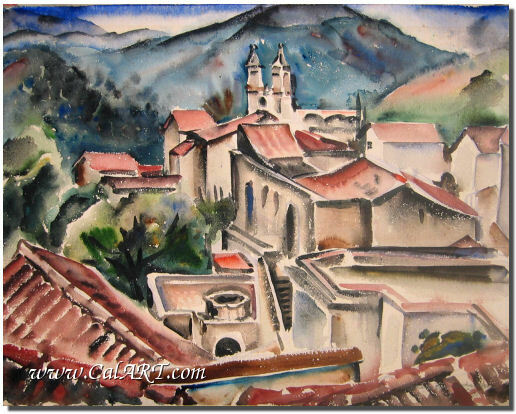 Bradshaw was head of the art department at Fresno State College from 1922-1948 (students heavily influenced by her style include Hubert Buel and Don David). 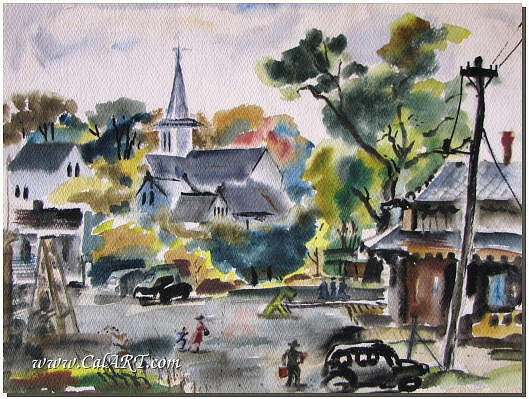 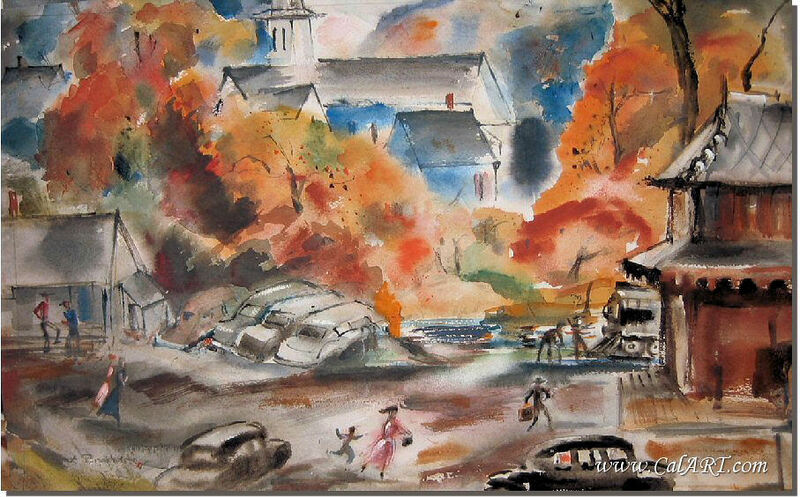 By 1954 Alexandra had married Clarence Hoag and moved to a large ranch just outside of Boston, MA (she continued to maintain a second residence in South Laguna). 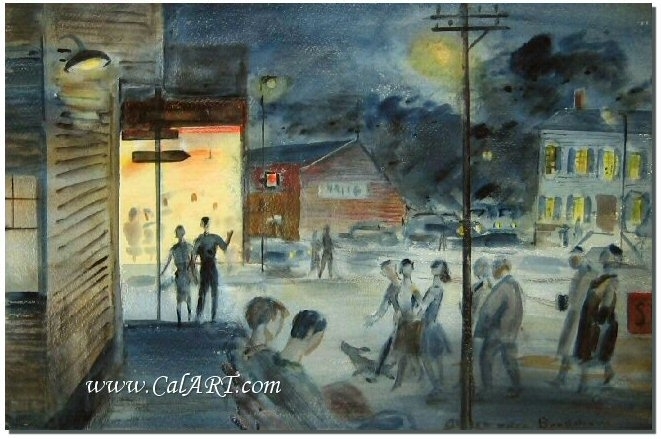 Alexander Bradshaw died in Whittier, CA on Sept 24, 1981.